King Colin wasn’t clever and King Colin wasn’t bold, But what made King Colin special were his underpants of Gold. 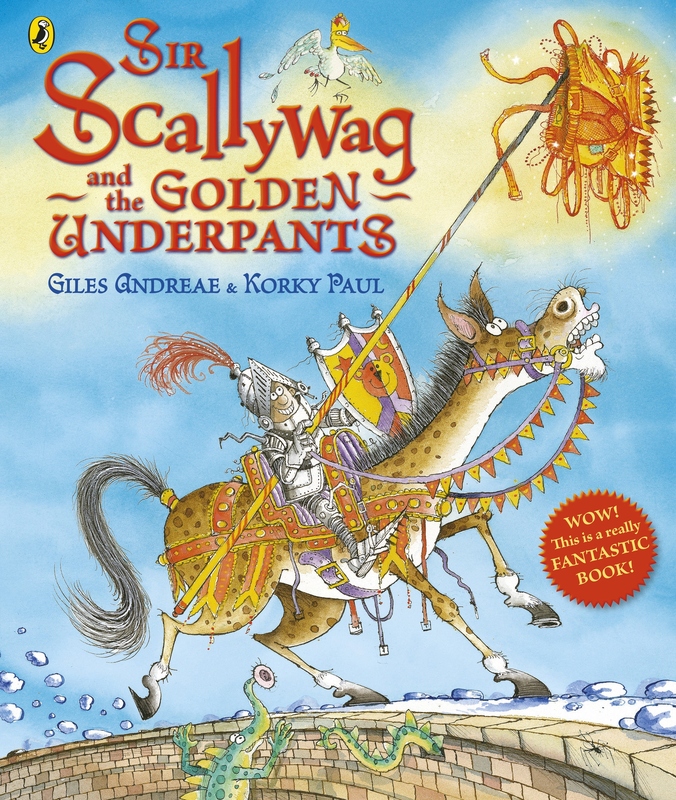 When King Collin’s Golden Underpants go missing and the royal bottom is bared, it’s Sir Scallywag to the rescue! Brave and bold, courageous and true, he’s the perfect knight for the job..and what does it matter that he’s only six years old! Whilst the King is sound asleep one night, a giant steals his Golden underpants. When he realises that they are missing, he calls for the bravest night of all to find them. It doesn’t matter that the knight that arrives is only six years old. Anything seems possible in this story and as the brave knight sets out on his journey, he finds the giant who is wearing the Golden underpants on his head. The knight must defeat him and even though the odds are stacked against him, you can’t help but feel that the little knight can overcome the giant. This story directly appeals to both the adult and child reader. It is incredibly funny and will make you giggle and laugh out loud all the way through. The moral of the story is, if you have courage and can be brave, you can overcome anything that may seem impossible. A lovely story for all children.